German weekly magazine 'Der Spiegel' sparked controversy on Saturday with a front cover illustration of US President Donald Trump beheading the Statue of Liberty. 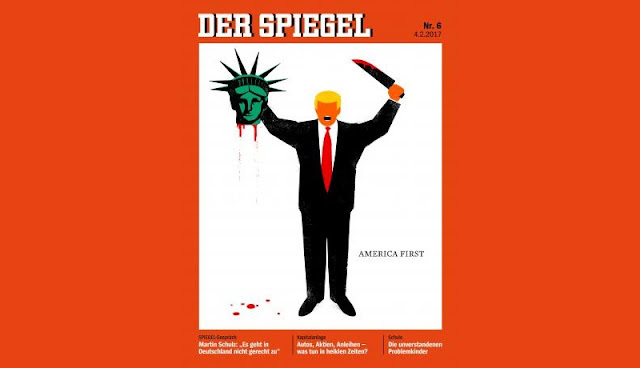 The cover follows a series of attacks on Germany's policies by Trump and his aides. The cover artist, who is a Cuban refugee himself, said, "It's a beheading of democracy, a beheading of a sacred symbol." Unfortunately, Trump is found not interested in democracy.